Arnott has released a remanufactured OE front air strut for the 2012-‘18 Audi A6/A7 and the 2013-‘19 Audi S6/S7 (C7 chassis). Arnott’s AS-3312 is a remanufactured OE front strut that fits both the left and right side of the 2012-‘18 Audi A6/A7 and the 2013-‘19 Audi S6/S7 (C7 chassis). The OE strut is inspected, disassembled, steam-cleaned and media-blasted to further clean exterior metal components. Arnott remanufactures the OE strut with new high-quality Tier 1 components, including a multi-ply rubber air bladder from ContiTech, heavy-duty crimping rings, oil-resistant O-rings, new air line fitting and a dust boot to protect the air sleeve. The strut also is repainted with corrosion-inhibiting paint to provide a high-quality finish. Arnott says it dyno tests each rebuilt strut to assure OE functionality. 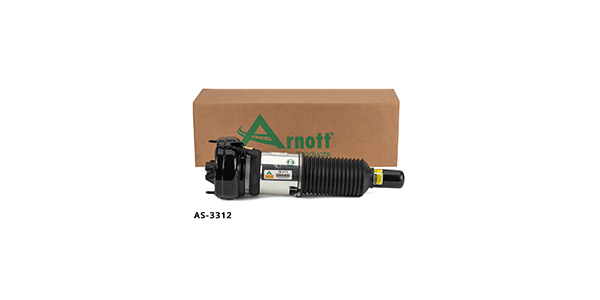 This Arnott-remanufactured Audi air strut is designed to work with the vehicle’s semi-active damping and auto leveling suspension controls. Arnott remanufactures this air strut in the U.S. and backs it with a limited lifetime warranty in the U.S. and Canada, and a two-year warranty elsewhere. For more information on the company’s line of suspension products, visit arnottindustries.com.